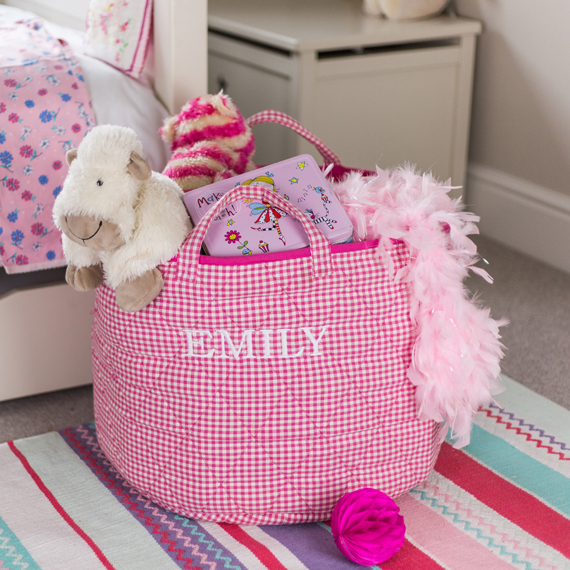 This cotton quilted toy storage basket is perfect for storing all of those toys which manage to find themselves in all areas of the home! 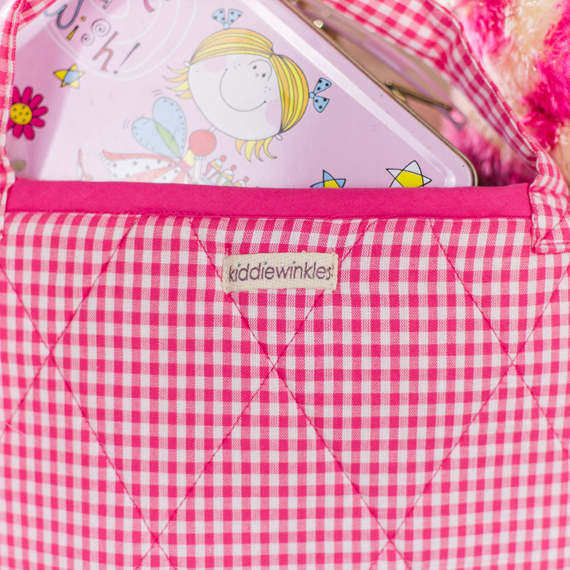 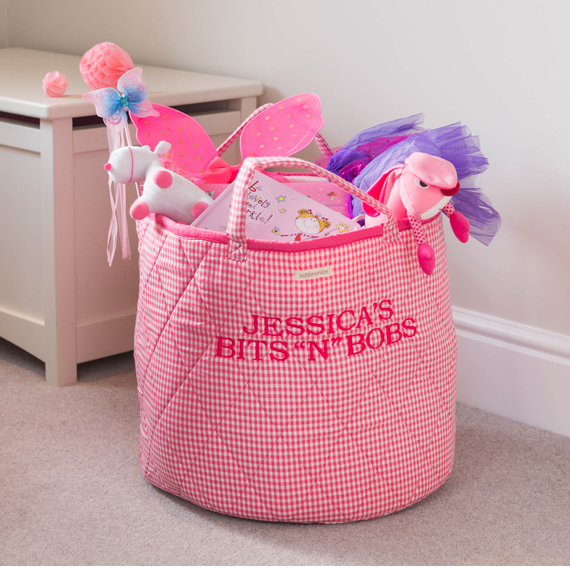 To make them extra special the storage basket can be personalised with your choice of child’s name or phrase, which will be beautifully embroidered onto one side. 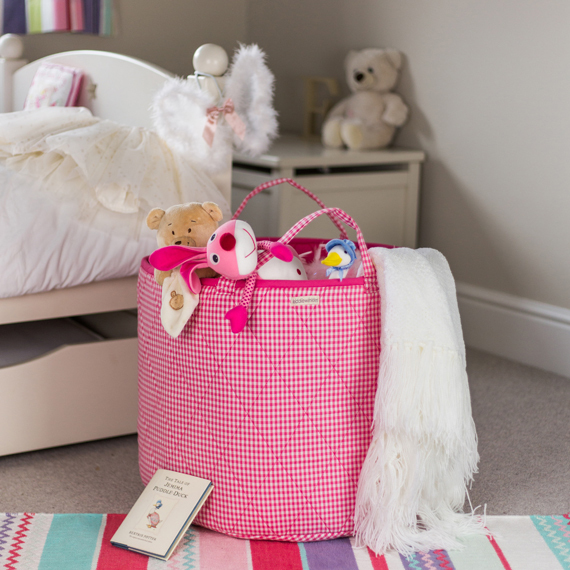 These toy baskets make the perfect newborn, Christening or birthday gift. 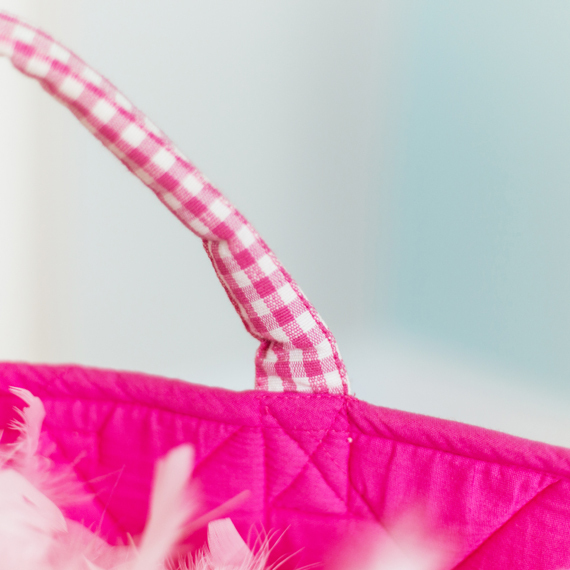 Non-personalised baskets will be delivered within 3-4 days of order. 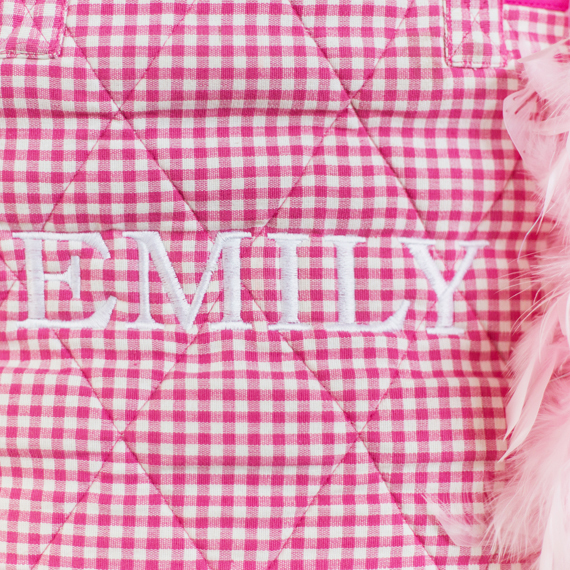 Personalised baskets typically take a little longer around 5-7 days.